Get ready for blast-off because this Autumn, things have gone seriously Space-Age. It all started with Chanel’s intergalactic adventure themed show back in March. Then came Gucci’s A/W winter campaign starring all sorts of creatures from outer-space inspired by old-school sci-fi. Since then – the fashion world has gone to infinity and beyond (sorry – these puns are too much fun) when it comes to all things out of this world. So look to the future and way up into the stars for your A/W style guide. When it comes to the space-age trend it’s all bout the futuristic vibes. You can just imagine our stretch trainer boot Broadcast as the uniform of the future populations living on space stations. Take a note out of Gucci’s book and take inspiration from 60s sci-fi style with the likes of our bold white Strike a Pose and shiny patent Judgement slick pointed boots for a look that’s ready to conquer aliens and venture off into new galaxies. 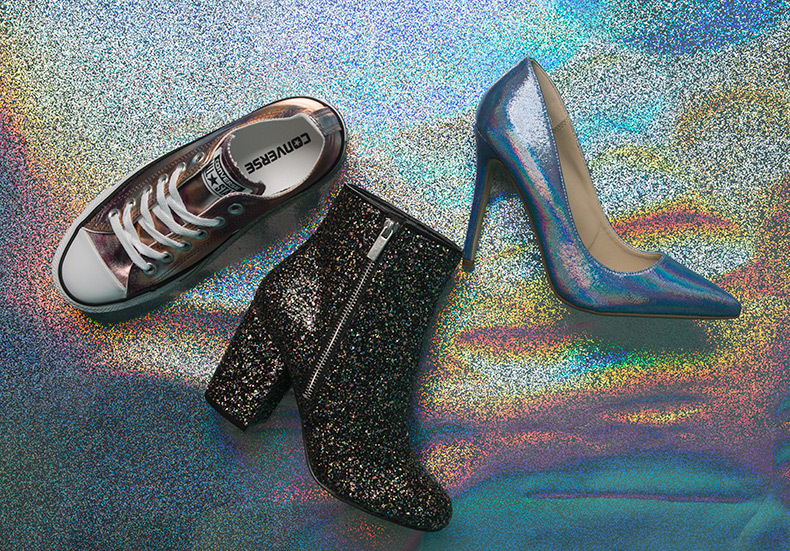 Of course, it wouldn’t be an inter-galactic fashion adventure without some metallics and glitter. 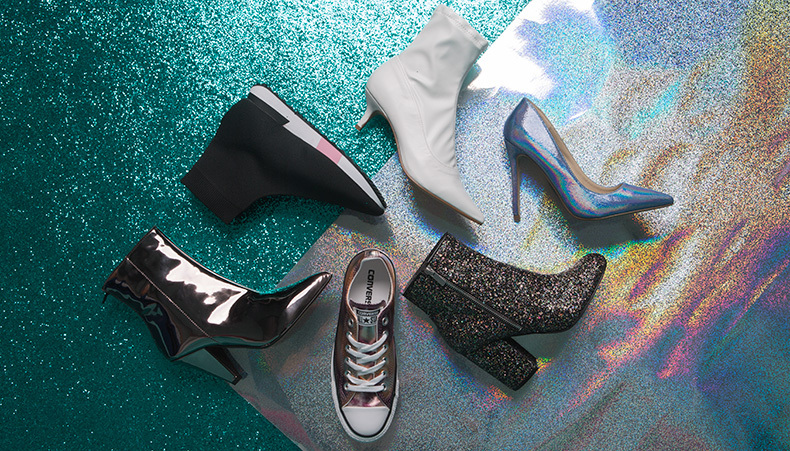 Adopt some out-of-this-world styling into your every day look with oil-slick pink and bronze kicks from Converse, add a touch of star-map sass in our Premier heeled boots or take your Friday night look to the next level with some shimmering stilettos from Missguided. So, pick your planet, pack your bags and get ready for a space adventure! You’ll definitely look the part!